Believe it or not, we're coming up on the one-year anniversary of Super Mario Odyssey. 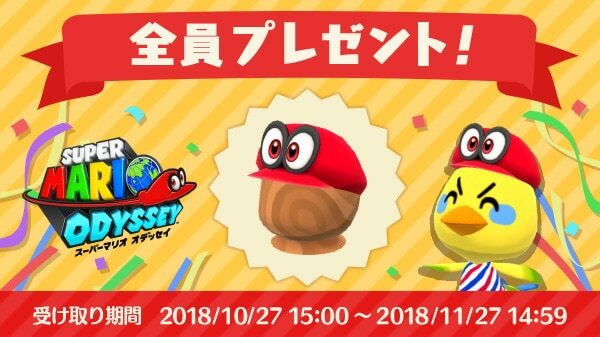 Looks like Nintendo wants to celebrate in some unique ways, so they're offering up a free Cappy hat to players of Animal Crossing: Pocket Camp! All you have to do is log in on Oct. 27th, 2018 to get yours.